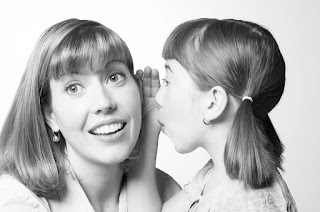 Priceless Parenting Blog: Do your kids know the difference between tattling and telling? Do your kids know the difference between tattling and telling? Do you give your kids the following two conflicting messages? The "don't tattle" message often comes across loud and strong from the kids' peer group. One group of kids said they would never tattle because "Snitches get stitches." No wonder they're scared to tell! How can you help your kids see the difference between snitching and reporting? When someone is snitching or tattling, the underlying goal is to get another person in trouble by making the problem bigger and more public. On the other hand, the goal of telling or reporting is to correct something that is wrong. Your child is telling you or another adult because the problem is too big for her to handle. So if your children are wondering if what they are about to say is tattling or telling, they can ask themselves "What is my goal?" If they realize they are really trying to get their sibling in trouble, then it's tattling. However, if it's a problem that they truly need assistance in solving or someone is in danger, than it's telling. Talking through a few pretend scenarios can help your kids figure out when they should be telling and when they can probably handle it on their own. Very good advice. It is a very fine line in deed.